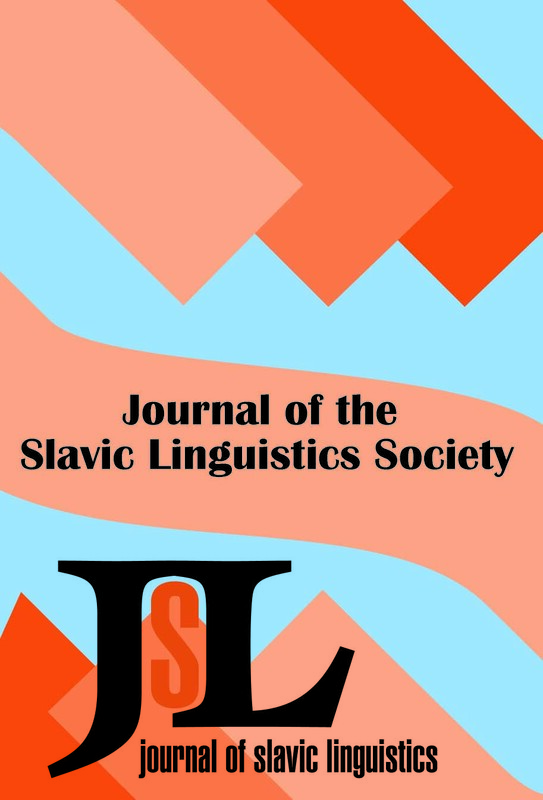 Abstract:This paper addresses the syntax of copular constructions in Russian with special attention to the prohibition on the appearance of instrumental predicates in present-tense copular constructions and their obligatory presence in argument small clauses with null predicators. I argue that copular constructions with instrumental predicates involve an eventive Pred (following Adger and Ramchand 2003), which I call “PredEv”. PredEv introduces an event argument and checks instrumental case on the predicate. In contrast, constructions with nominative predicates involve a non-eventive Pred that has no case to check. I further argue that the event argument introduced by PredEv must be licensed by Asp. However, the present-tense form of the Russian verb ‘be’ (est’) lacks the relevant aspect features. Consequently, instrumental predicates are impossible in present-tense copular constructions. In argument small clauses, on the other hand, the event argument is licensed by the Asp of the matrix verb, which makes instrumental predicates possible. In the course of the discussion I also address predicate case in adjunct small clauses and in constructions with overt predicators. Finally, I briefly compare predicate case phenomena in Russian to those in other Slavic languages. Abstract:This paper is inspired by the discussion of Genitive of Negation in Bondaruk (2004, 2005) and by an observation made in Błaszczak (2001) that, on the basis of examples such as (7) below, a construction known as Long Distance Genitive of Negation (GoN) in Polish is essentially entirely incompatible with Chomsky’s (2000, 2001, 2004, 2006, 2007) hypotheses concerning derivations proceeding in phases. We will present general conditions which a system based on single cycle syntax and phase-based derivations should meet to account for Long Distance GoN. We attempt to work Błaszczak’s critique of phase-based minimalism into a more positive set of postulates for a successful single cycle system. Another aim of this paper is to present and compare two minimalist accounts of the Genitive of Negation in Polish, the one discussed in Bondaruk (2004, 2005) and the one suggested here. First, we provide the basic set of facts that warrants the analyses that follow and refer to theoretical foundations that lead to Błaszczak’s observation. In section 3 we outline the proposal in Bondaruk (2004) and explore its virtues and weaker points. In section 4 we propose an alternative, preferable on both conceptual and empirical grounds, which is based on the notion of double probing: a relation between a single (or multiple Goal) and a double Probe, that is a Probe that consists of two adjacent heads rather than a single head. The key condition on double probing is that both Probes must be placed in the same derivational phase and no intervention effect should arise. Finally, the appendix presents a critical review of the HPSG approach to GoN proposed in Przepiórkowski 2000. Abstract:This contribution deals with the attributive pronouns kakoj and čto za in interrogative and exclamative sentences of Russian. It is an investigation into the polyfunctionality of these expressions, their integration into the DP structure, and their interplay with sentence mood. The morphosyntactic and semantic properties of these lexical items will be considered within the framework of Chomsky’s Minimalist Program, taking into account their semantic form and conceptual structure.